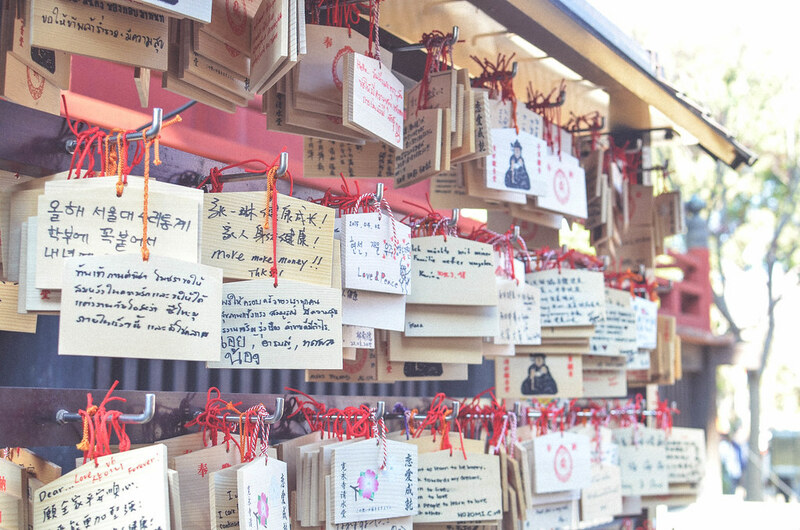 Whenever I travel to a new destination, I always want to learn the culture, tradition and history of that country. 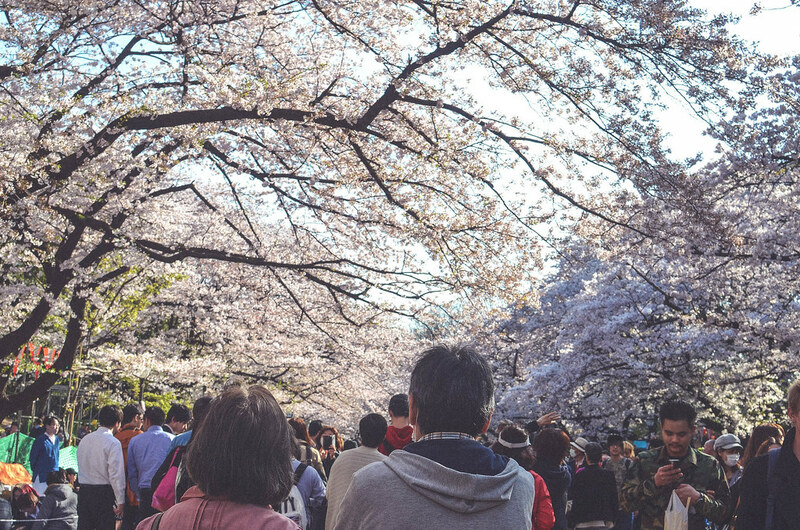 Whether it be sampling local cuisine, exploring historical attractions or dressing up in traditional clothing. 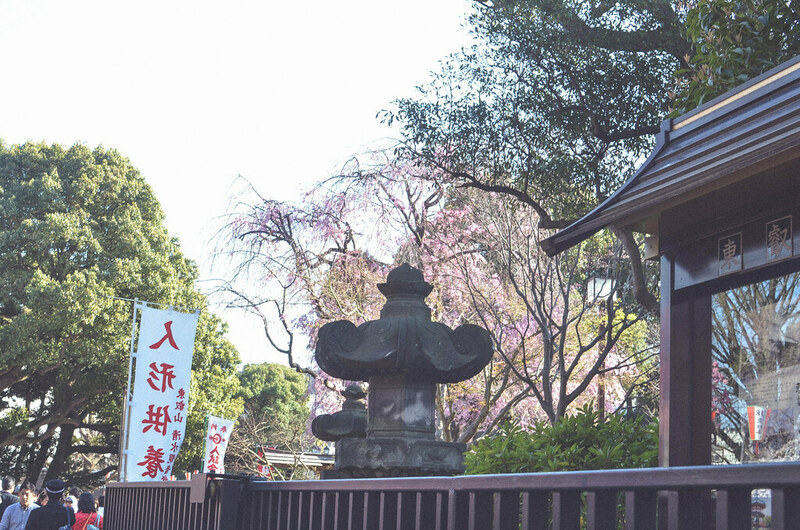 Remember our Maiko Transformation in Kyoto, Japan? If you have not seen it yet, you may check it out right here. 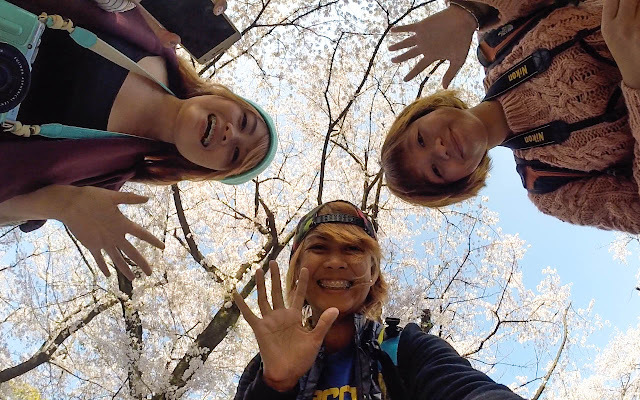 It was, for me, one of the most memorable experiences I had in Japan. 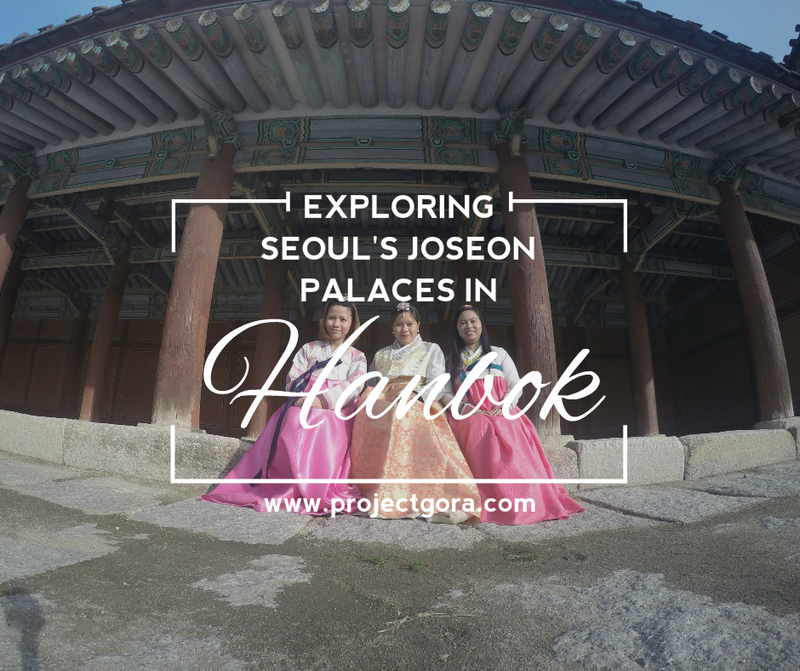 When my friends and I visited South Korea a week ago, we decided to rent Hanboks and explore the Joseon Palaces wearing it. 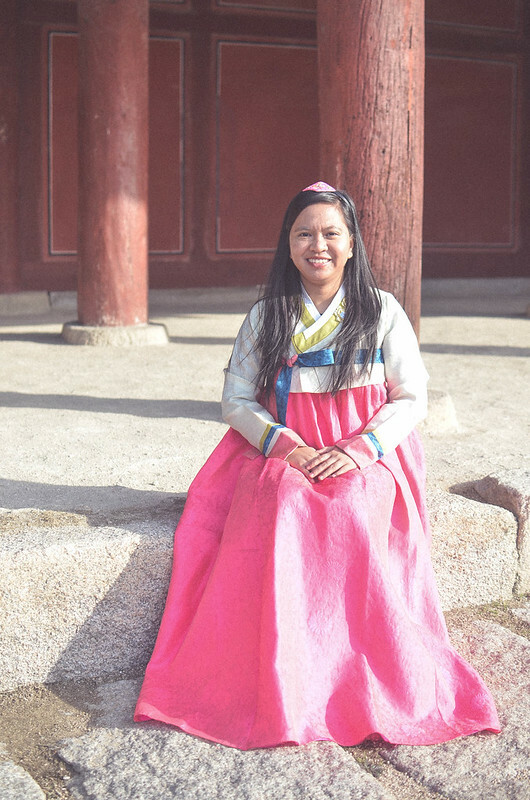 Of course, it is always nice to photograph yourself in traditional clothing, but more than that, wearing the Hanbok made me feel like a Joseon Princess. Koreans, specially the Ahjummas and Ahjussis complimented my friends and I. They can't help but say 'ippuda' meaning beautiful as we walked by. Seeing their delighted faces, I get this feeling they are happy that foreign tourists appreciate their traditional clothing and show respect in their customs. 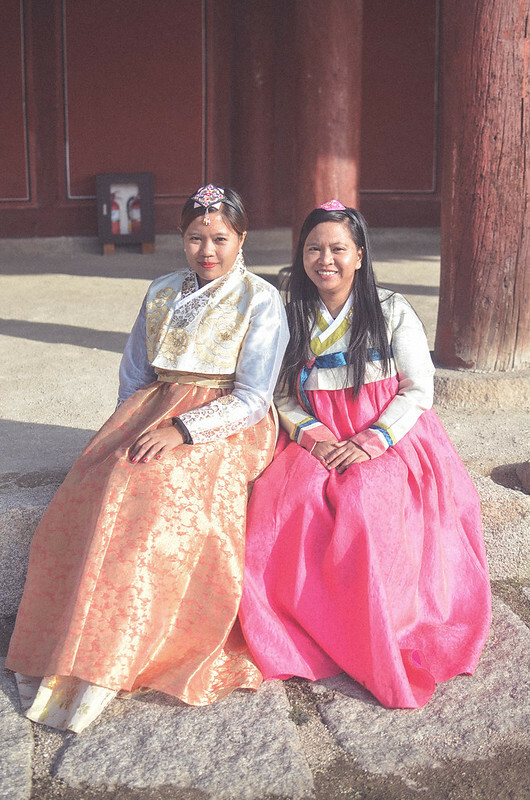 Before we flew to Seoul, I emailed One Day Hanbok, a Hanbok rental service in Seoul, that we will avail their service. 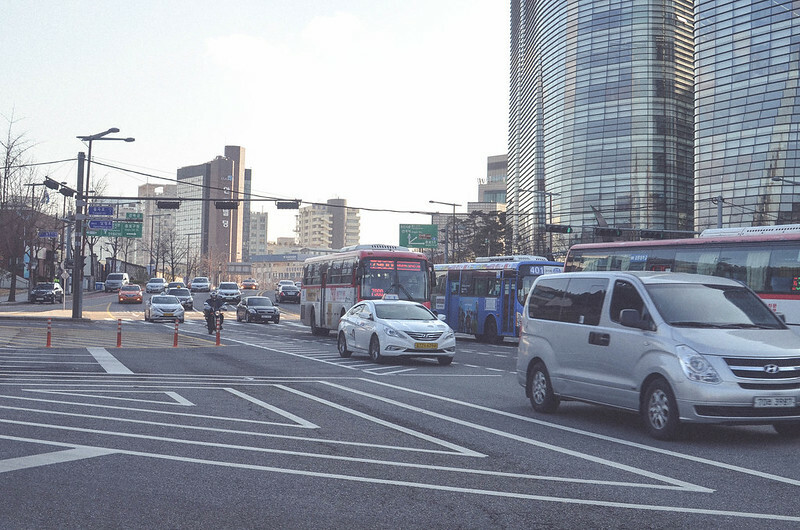 I was advised that the rental service costs KRW 15,000 for 4 hours and KRW 28,000 for 24 hours. 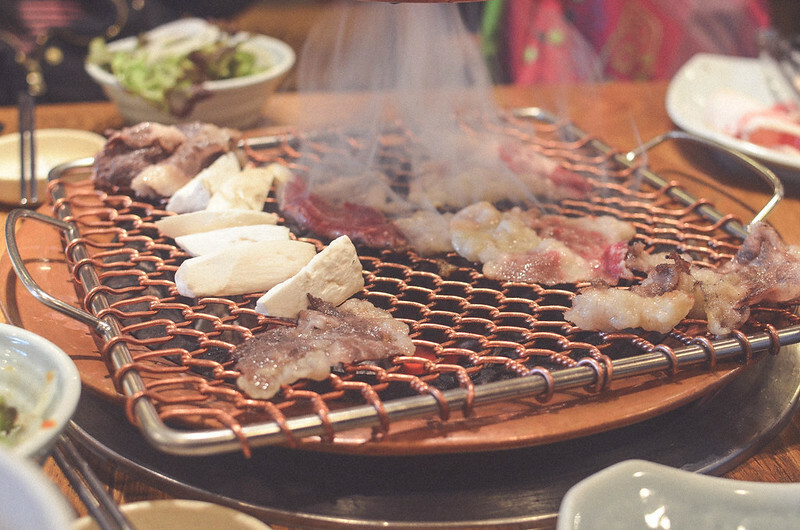 I was also told they moved to a different location, which is in Chungmuro, and that their shop opens at 10:00 in the morning. That’s a bit late by Filipino standard haha. We did not realise it was winter and the sun rises at 7:30 in the morning! Lol. 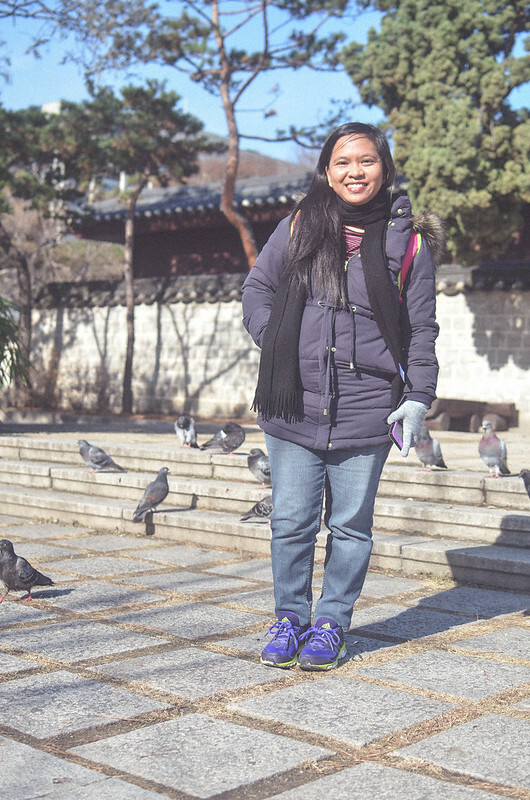 So on our first day in Seoul (December 5, 2015), my friends and I woke up early so we could start exploring Gwanghwamun, watch the Changing of Guards Ceremony in Gyeongbukgung and make a quick stop at Changdeokgung before we go to Chungmuro. The palaces, as usual, are packed with tourists, both foreign and local. It was around 3 degrees celsius that day, a kind of weather that we never experience in the Philippines. Haha. Good thing, the three of us are prepared for this trip. 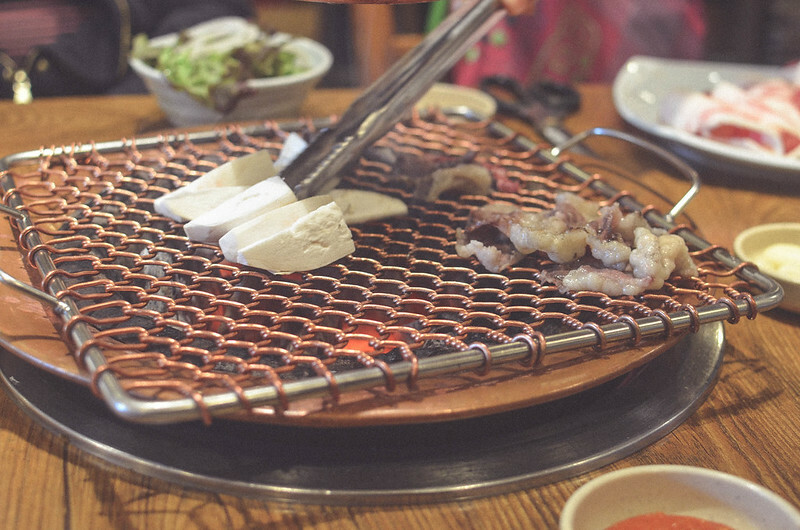 It was already my second winter trip to South Korea that’s why I have given Sheila and DJ idea on how cold it would be. 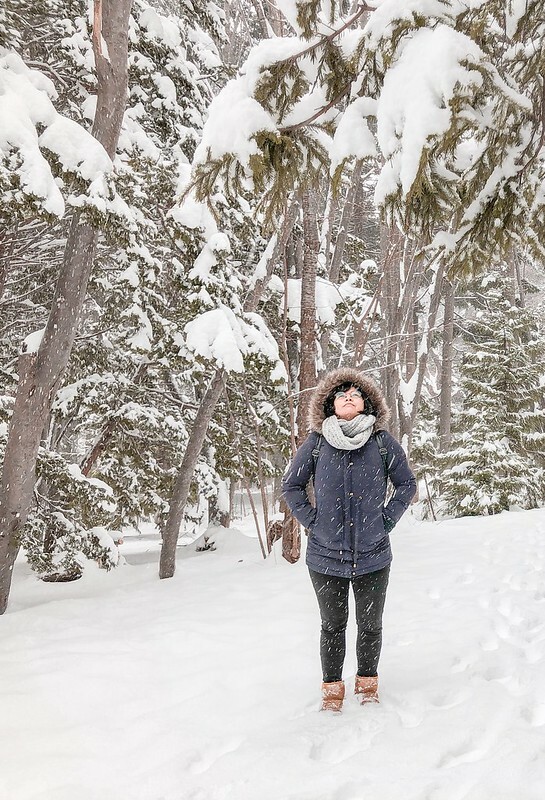 Thanks to Uniqlo's Heattech products, the cold never bothered us anyway. Haha. 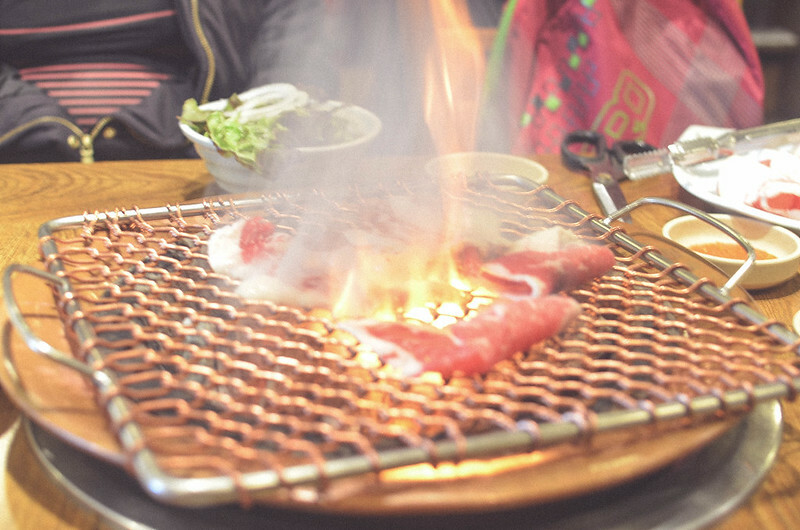 I love this side dish! 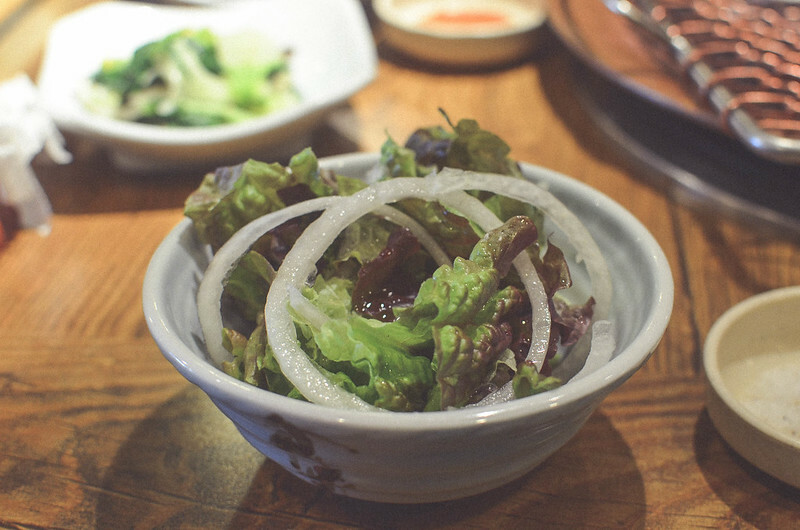 I never thought lettuce would taste so good with vinegar! Anyhow, we went to Oneday Hanbok after eating. We entered the shop and we were assisted individually by their helpful staff. 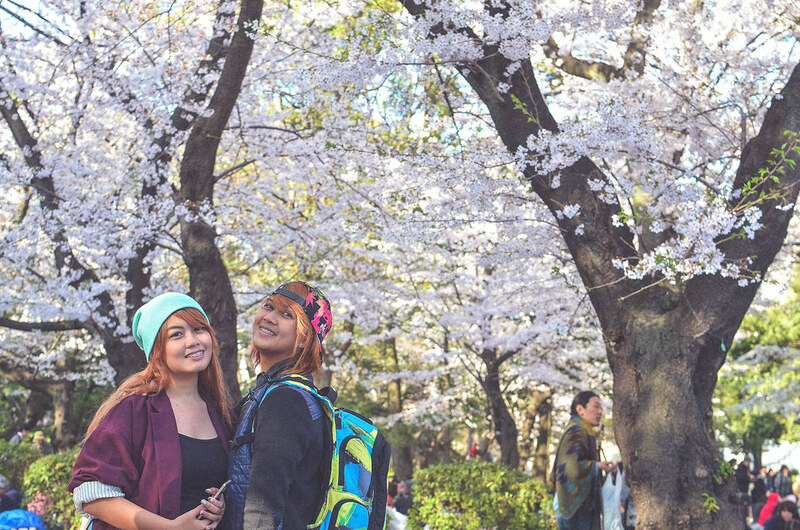 We were instructed to remove our down jackets and try two Hanboks of our choice. 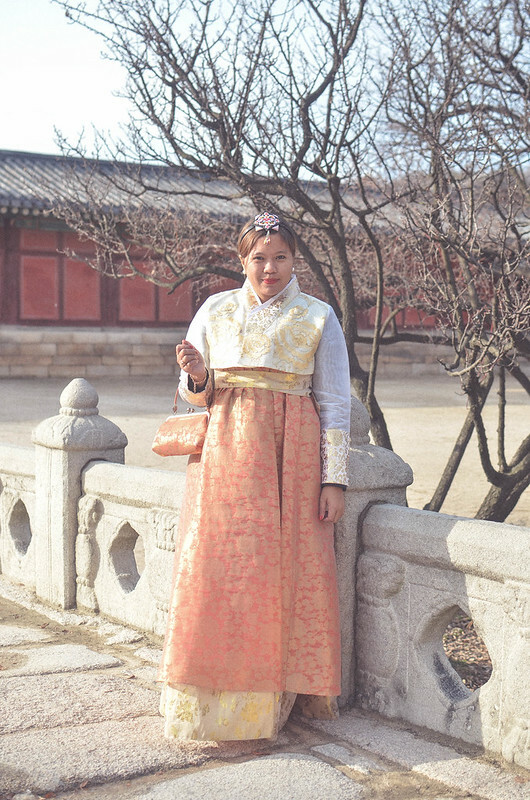 There are over a hundred sets of Hanbok in the shop, ranging from traditional Hanboks to the more modern designs, from extra small to extra large, for both sexes. 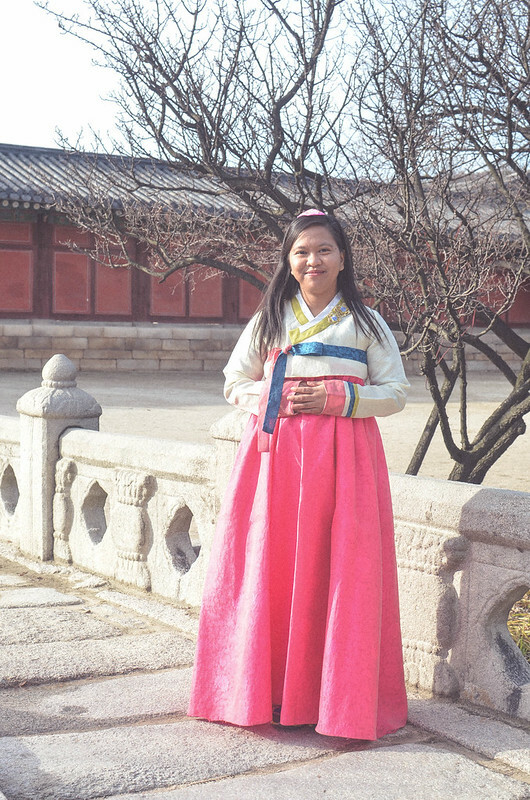 When I saw my Hanbok, I already knew it was for me. 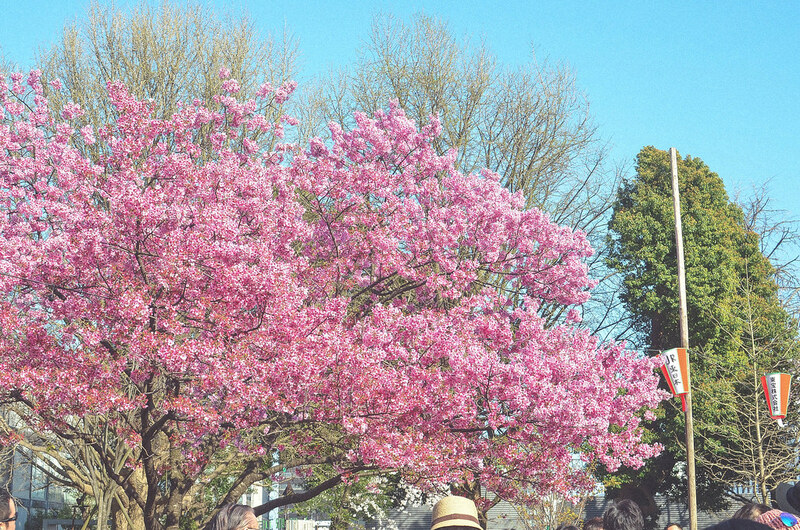 ^_^ Look how lovely it was! I love Sheila's pink Hanbok! It suits her well! 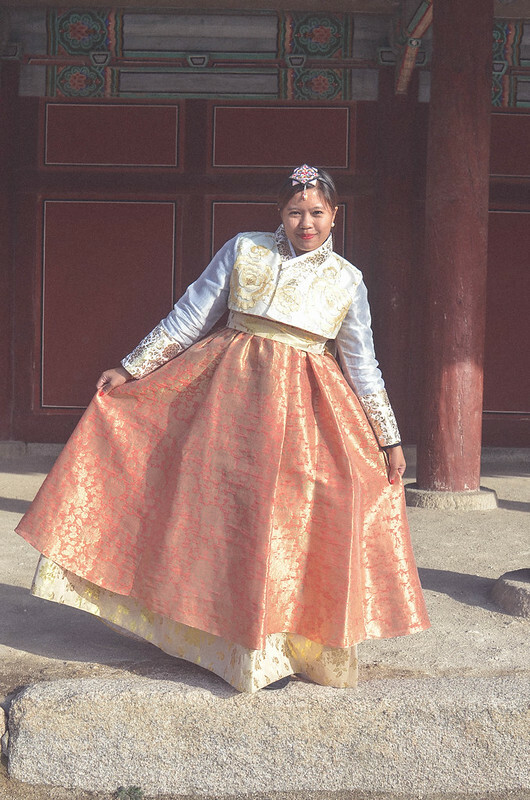 DJ looks lovely in this Hanbok made for Royals. Lol. Pang mayaman! So having tried Japan's Kimono and South Korea's Hanbok, which one do I like more? 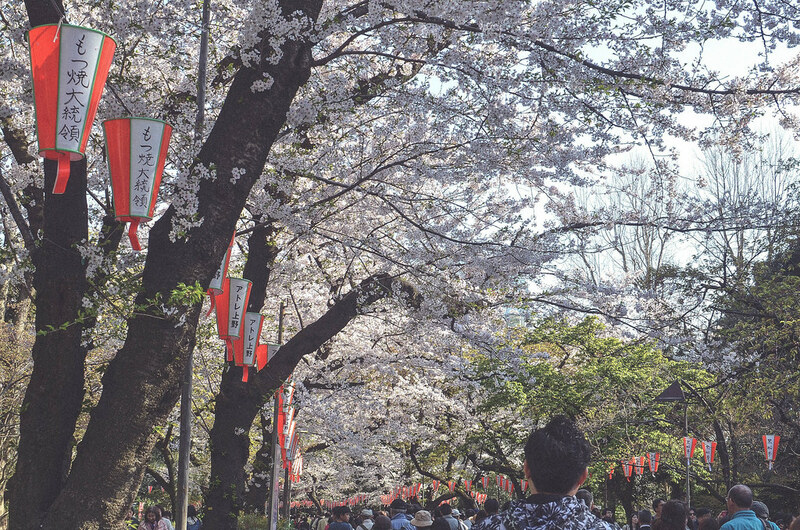 Kimonos and Hanboks are both full of vibrant colors, impressive designs and carry the traditions of their respective country. 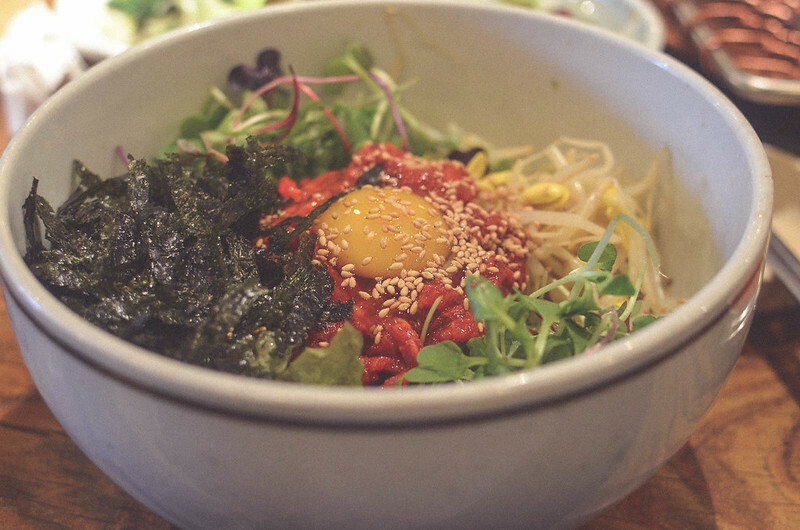 However, I like Hanbok more because even if you have full stomach, you will not look like a pregnant woman in her 2nd or 3rd trimester. Lol. 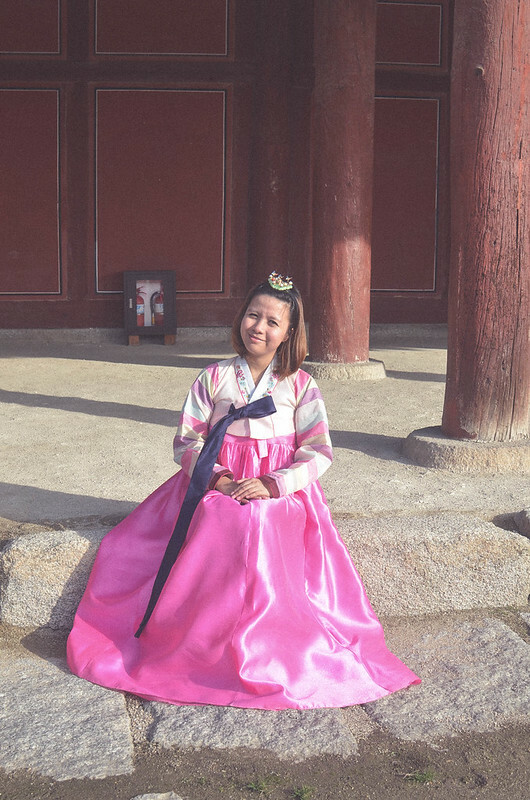 If you would like to rent a Hanbok in Seoul, I recommend you try One Day Hanbok. Check out their website right here for more details. 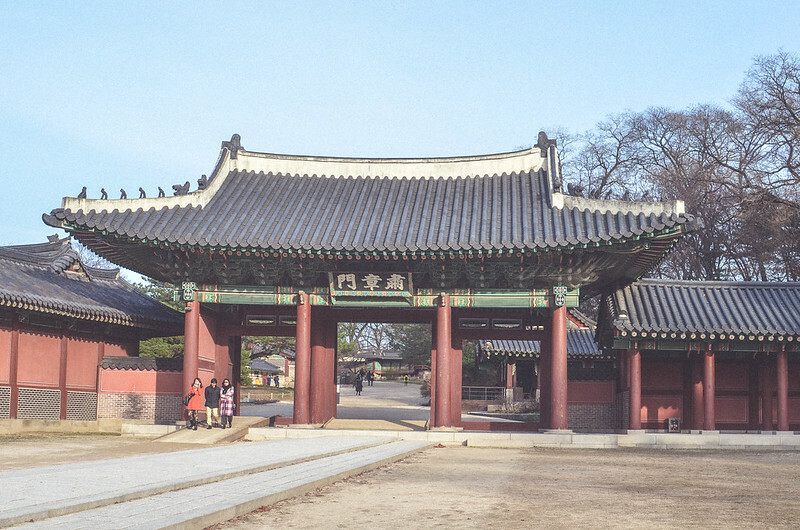 For me, the experience was totally worth the money ^_^ And also, you get to enter the Joseon Palaces for free! How cool is that?! 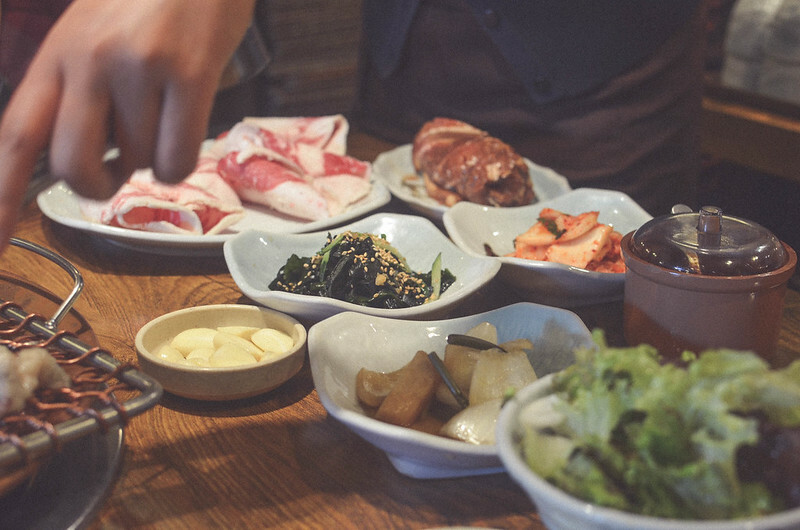 Address: Il-Hong Building, Level 3, No.303, Chungmuro 4 (sa) ga, Jung-gu, Seoul. Since 2012, travelling to the Korean Demilitarized Zone (DMZ) and Panmunjom, officially known as the Joint Security Area (JSA), has always been included in my bucket list. 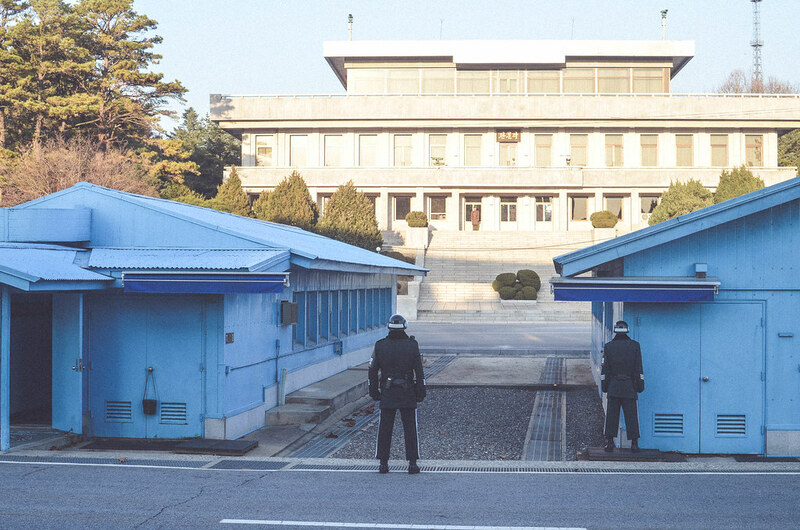 The thought of experiencing the palpable tension in the infamous border that divides North Korea and South Korea is just so appealing to me. ^_^ But not only that, being a history buff, I thought this tour would provide me some insights on what happened between these two during the Korean War and how they eventually got divided. So when my friends and I are drafting our 6-day itinerary, I suggested that we join a tour to DMZ on our 4th day. I explained to them what we will see and how thrilling it will be. Haha. Good thing, Sheila and D.J. agreed to go. I never thought it would be that easy to convince them! Haha. So there, I checked some reviews online on where to avail the tour and eventually found USO Tour. They offer tours to the DMZ and JSA for KRW 96,000 or about PHP 4,000++. We booked the tour online and settled the payment via email. 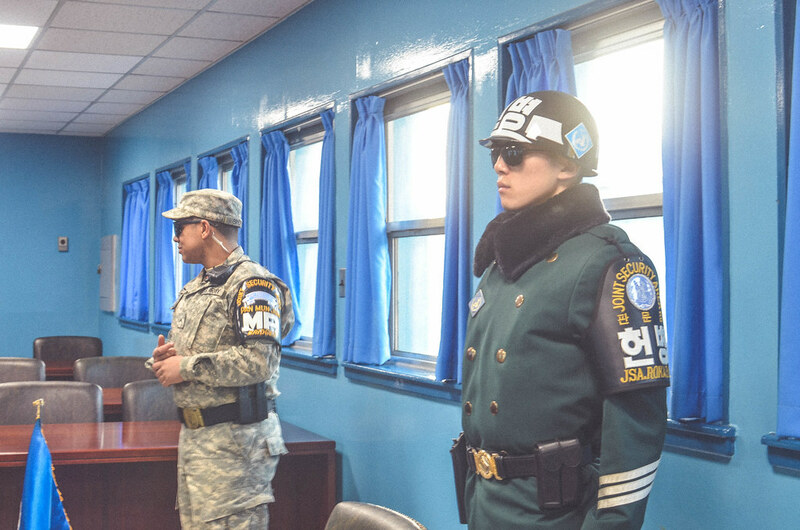 If you are, by any chance, planning to visit the DMZ or JSA, please remember that a strict dress code applies for all visitors: "faddish, extreme, torn, tattered, frayed, overly provocative or otherwise inappropriate" clothing is not allowed. Sports clothes (including tracksuits), military clothing, oversized clothing, sheer clothing, sleeveless shirts/tops, tank tops, anything that bares the midriff or the buttocks, and flip flop-type sandals are specifically banned. Also, residents of these countries are not allowed for this tour: Afghanistan, Cuba, Iran, Iraq, Libya, North Korea, South Korea, Pakistan, Sudan, Syria. 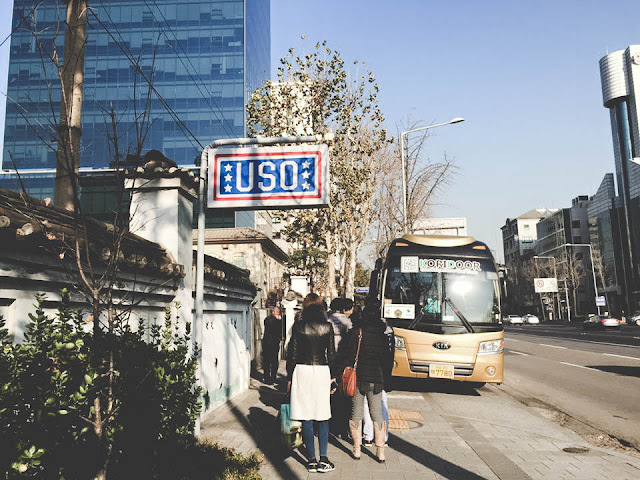 On the day of the tour, December 8, 2015, we went to the USO Tour Office at Camp Kim located near the SAM GAK JI (삼각지) Station (line no. 4 and 6 exit no. 10) across the U.S. Army. We presented our passports to the receptionist and confirmed our reservation. At 10:30 am, we boarded the tour bus and we were introduced to our bubbly tour guide, Haley. She explained some rules we have to observe and the itinerary for the day. 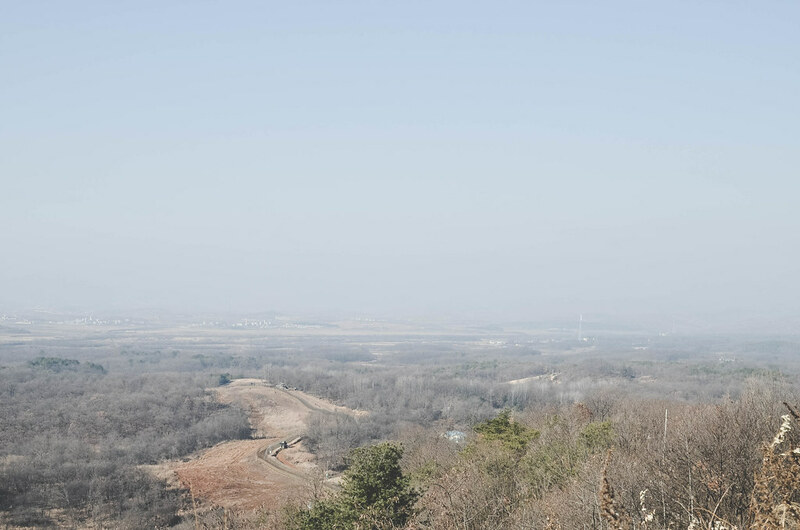 She also told us the reason why she became a tour guide in the DMZ is because there are many good looking guys there. Ahaha. 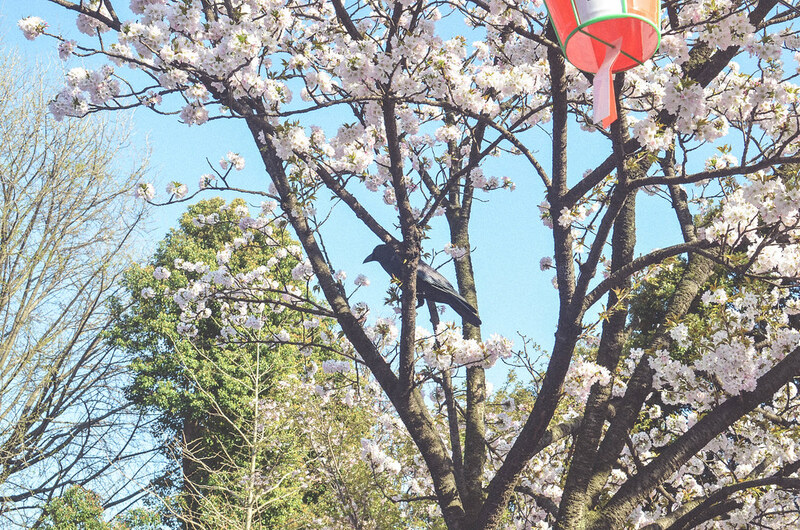 Of course, we were expecting to see them too! We might spot a member of Super Junior in his military service! Lol! If you guys are unfamiliar with the DMZ and JSA, google it. Haha. 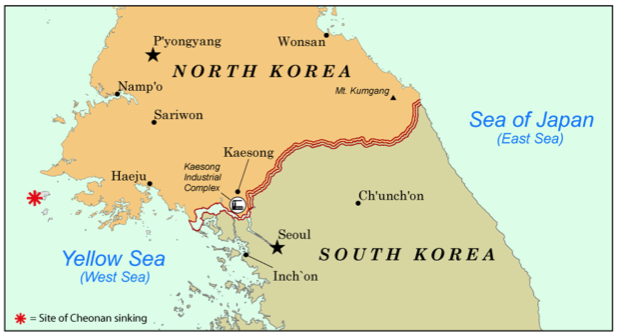 But seriously, it is the border between North Korea and South Korea where tension runs high constantly. The DMZ was created by pulling back the respective forces 1.2 miles (2 km) along each side of the line. 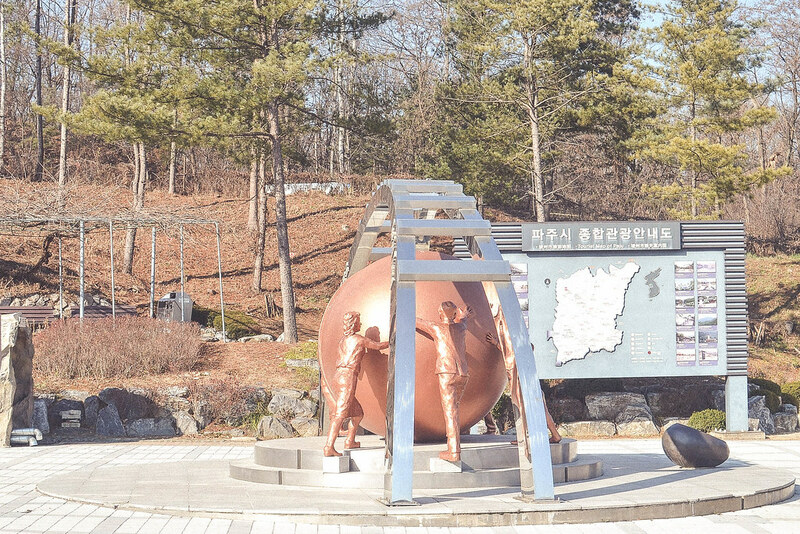 It runs for about 150 miles (240 km) across the peninsula which marks the end of Korean War (1950-1953). 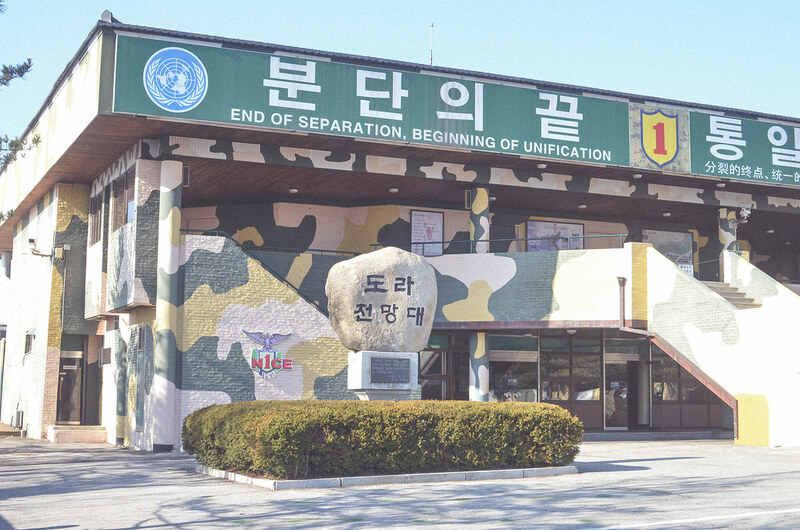 Within the DMZ, the “truce village” of Panmunjom was established as a site of peace negotiations and has been the location of various conferences. 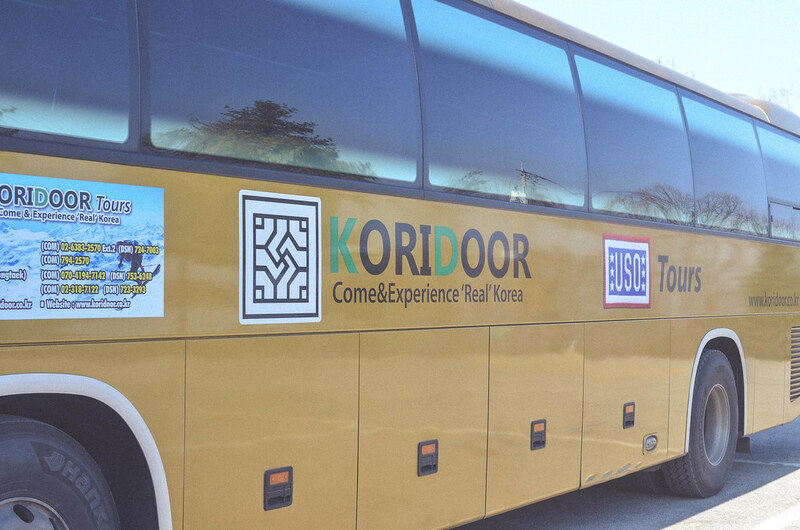 Currently, both North Korea and South Korea allows tour to the DMZ as long as it is through an accredited tour company. 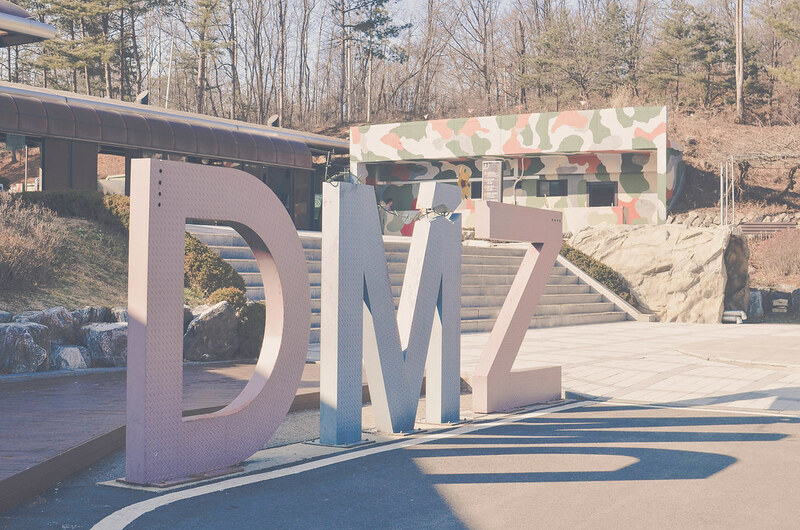 For DIY travellers like me, sorry but there is no way to DIY a DMZ tour. I can attest that a guide is really required because the DMZ has the world's highest density of landmines. SRSLY. 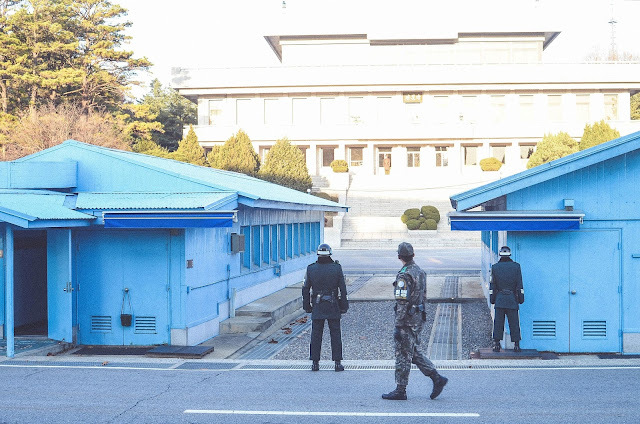 It is like a bizarre theme park where you will be asked to sign a consent note that would say something like this: "Your trip to DMZ will entail entry into a hostile area and possibility of injury or death as a direct result of enemy action." Scary stuff. Our tour left Camp Kim and made a few stops on the way to Panmunjom (JSA), including the 3rd Tunnel, a 1,632m tunnel dug by the North Koreans, from which they could pass through into Seoul within an hour and invade. Unfortunately, I don’t have a single photograph of the tunnel because I had to leave my bulky SLR in the locker, which is definitely a great help. Going inside the tunnel is no joke as it will require some serious leg strength. Haha. A trip not recommended for people with heart condition or mobility limitation. Our next stop was the Dorasan Observatory where we could see into North Korea. Thank God the weather was great that day, we had a good glimpse of North Korea. I did not see a single North Korean though because that piece of land looks exactly like a ghost town! Haley told us there were snipers on that side so we have to behave as instructed. Whew! That, my friends is North Korea. Sorry I have no zoom lens! 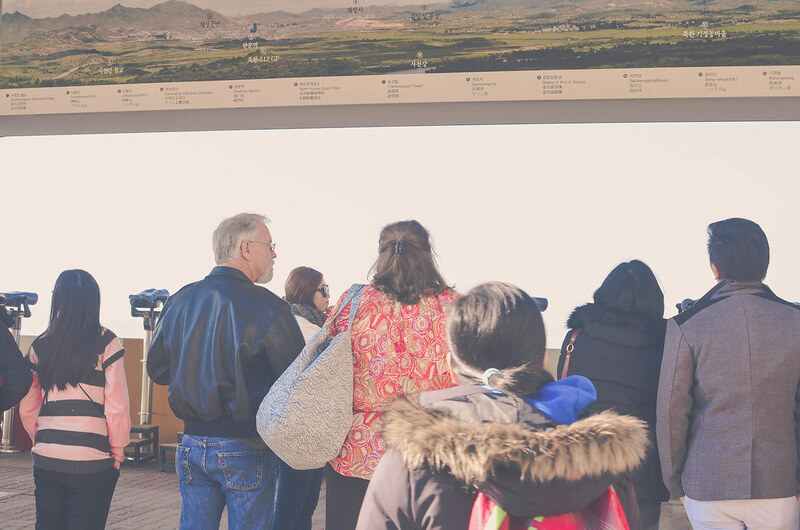 After our bulgogi lunch, our tour group went to the Gyeongui Train Line, the railway that once connected North and South Korea until hostilities erupted in the 1940s. Dorasan Station was built by the South Korean side with the hopes that one day the Korean Peninsula will be reunited. Aww. Haley explained to us that if it does happen, then it will only take 8 days for a traveller to go to Europe or Russia via this train line! That’s going to be one hell of a trip! All of these stops were interesting and educational, but the highlight of the tour, at least for me, is the Panmunjom (JSA). At our appointed time, we passed through a series of check points where our passports are verified by a US Army officer. 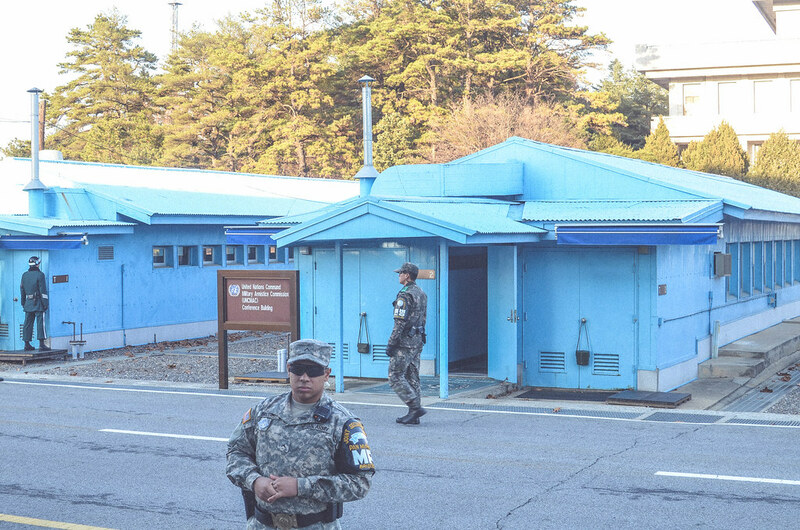 We stopped at Camp Bonifas, a small base where U.S. and South Korean soldiers reside. We headed to the Ballinger Hall to watch a short video presentation, hear historical facts about the DMZ and JSA and receive briefing. The U.S. Army officer assigned to us that day was Private Bridges, the guy on that photo above. Before we enter the blue building, he instructed us not to make any face or hand gestures which can be taken negatively by the North Korean side. We were also told not to take any photos, unless told specifically that it was okay to take photographs. Of course, this instruction should be taken seriously if you don’t want to get shot! Of course, as tourists, we will never miss a chance of a selfie with a South Korean soldier! haha. Soo touristy I know! South Korean guards stood in their fierce Taekwondo stance, something of which they are famous for, yet all of us tourists couldn’t help ourselves giggle and take selfies! I guess we didn’t really understand where we are at that time. I wonder what would the situation might have been if we were on the North Korean side. OMG. And oh! 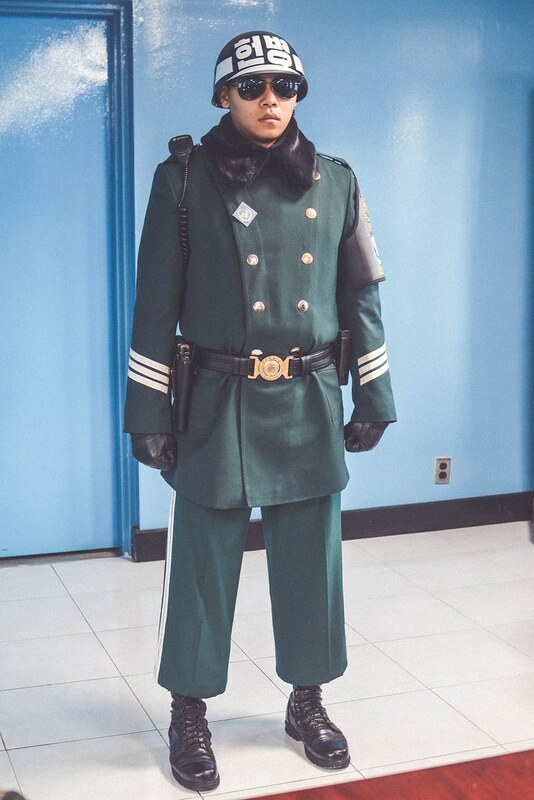 I walked around the far side of this soldier, which meant that, suddenly, I was very officially in North Korea and I did not get shot! Private Bridges, our guide, was knowledgeable and delivered a fantastic presentation that was factual and historically sound. We stood around the table inside the blue building (the Military Armistice Commission Conference Room) as he explained some interesting facts and shocking stories in the DMZ. We were then instructed to go out and stand across the blue building facing the big, beige building of North Korea. 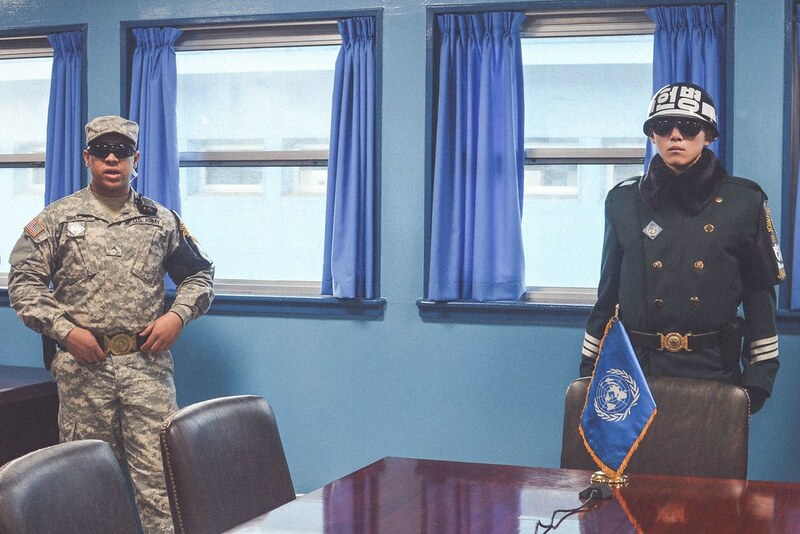 I don’t know if you can spot the North Korean officer on the photo below though. Private Bridges jokes about it, the first time he did. He said they call the officer Bob because they see him ALL the time haha. On a serious note, this part of the tour is my absolute favourite because I felt the unexplainable tension between the North and South. I thought of all the people who died there during the Korean War, and all those who perished after the peninsula was divided. It was fascinating and depressing at the same time. 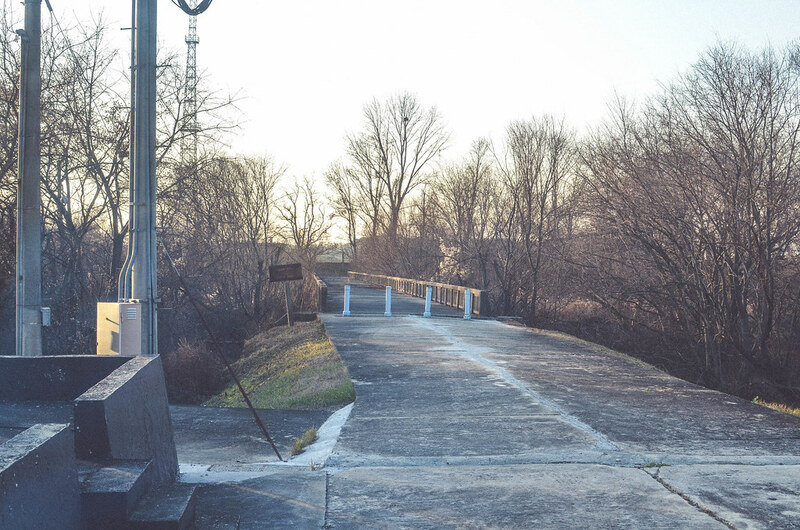 Our final stop was the Bridge of No Return, first used for Prisoners of War exchanges in 1953. The name itself is self explanatory, once you cross the bridge, you can never go back. I wonder what happened to the prisoners who chose to go back to North Korea. I decided to re watch the North Korea documentary I've seen a couple of months ago. It's one of the most depressing documentaries I have ever seen! 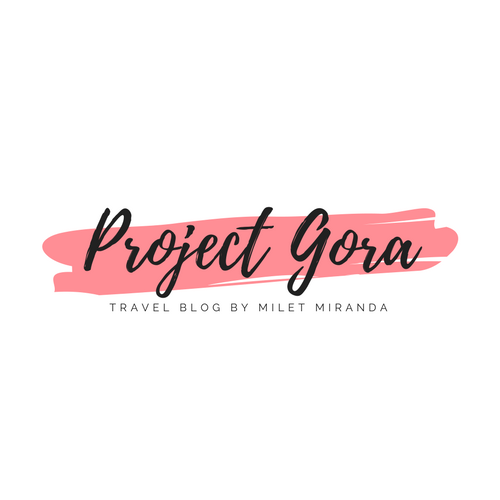 If you are interested, you may check it out right here. Let me know your thoughts in the comment section below! Annyeong Haseyo! 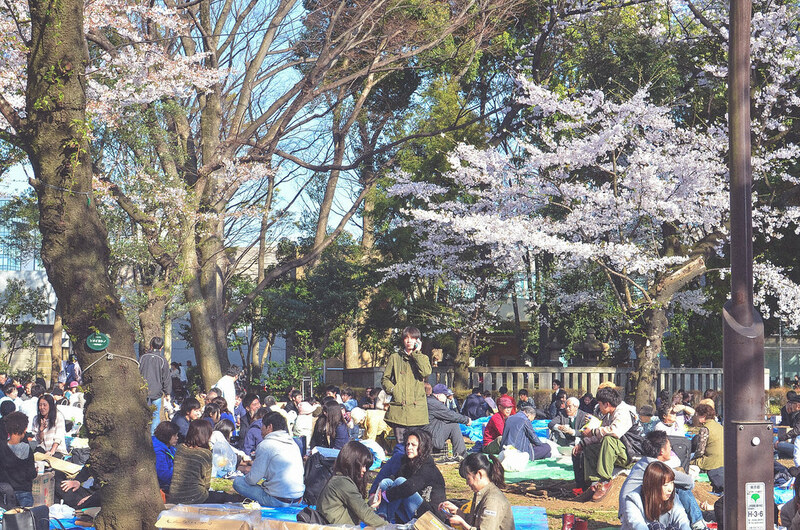 Thousands or even millions of people, both locals and foreign, flock Ueno Park to enjoy Hanami Viewing. 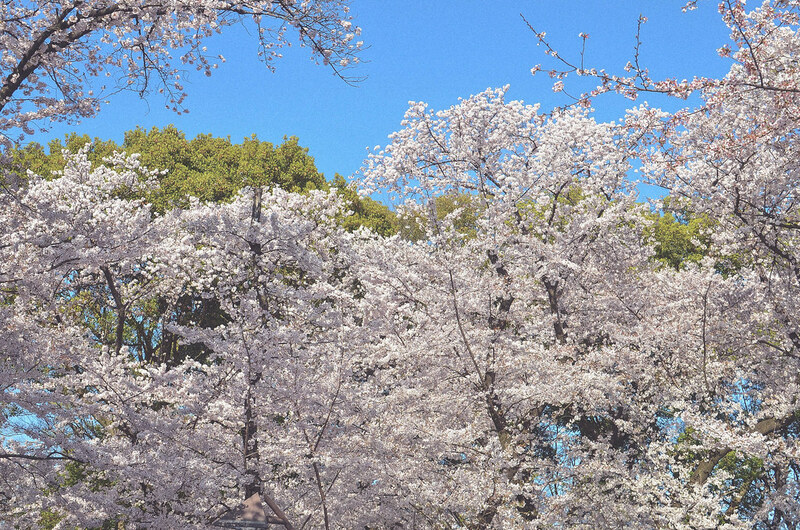 How to tell cherry blossoms from plum blossoms? 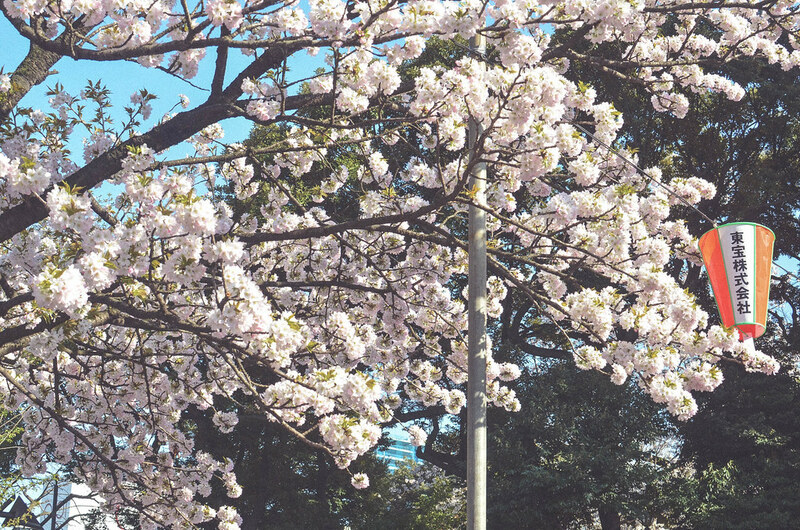 The cherry blossoms have a small split at the end of each petal, while the plum blossoms don't. 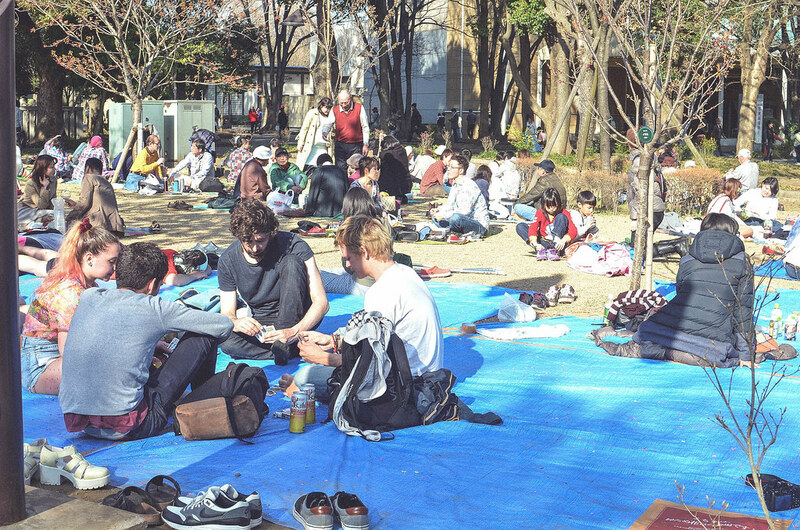 When you go to Ueno Park, or anywhere in Tokyo, don't forget to bring something to eat, drink, a ground-sheet to sit on and warm clothes for when the sun goes down. 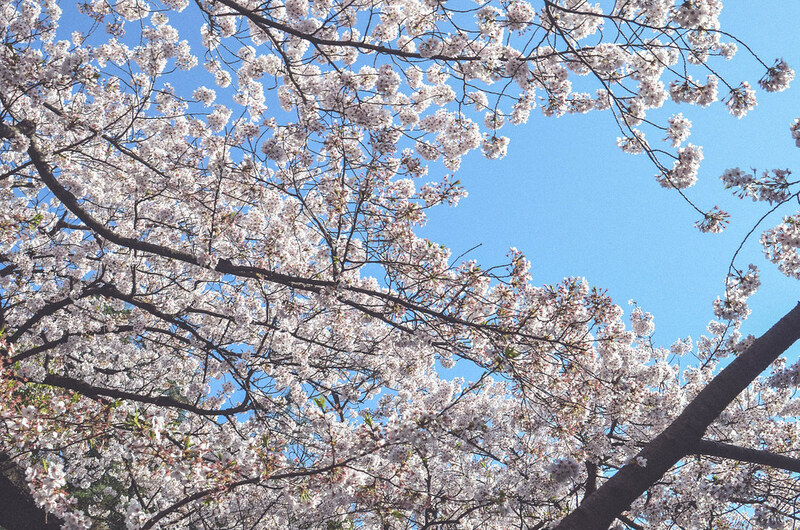 Even though it's the beginning of Spring, it could still get very cold! 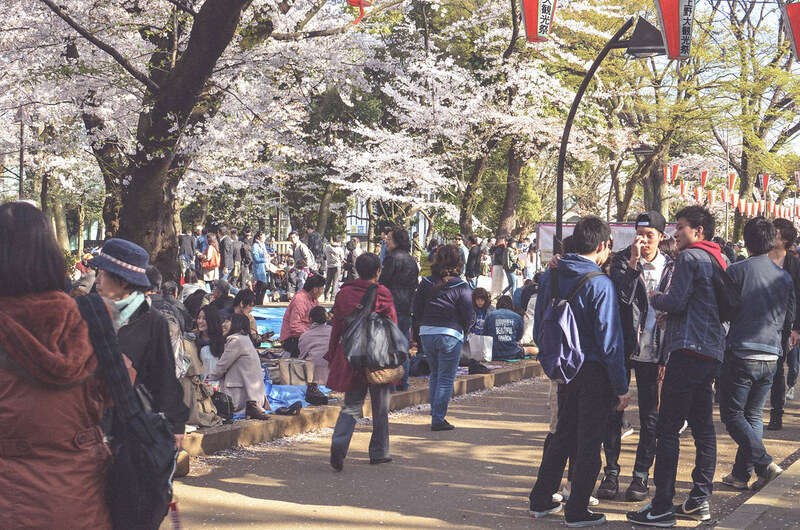 Planning a trip to experience the cherry blossoms viewing is quite tricky because the actual dates of this ‘festival’ very much depend on when Mother Nature allows the cherry blossoms to bloom. Based on my research, the safest time to go is during the first week of April. 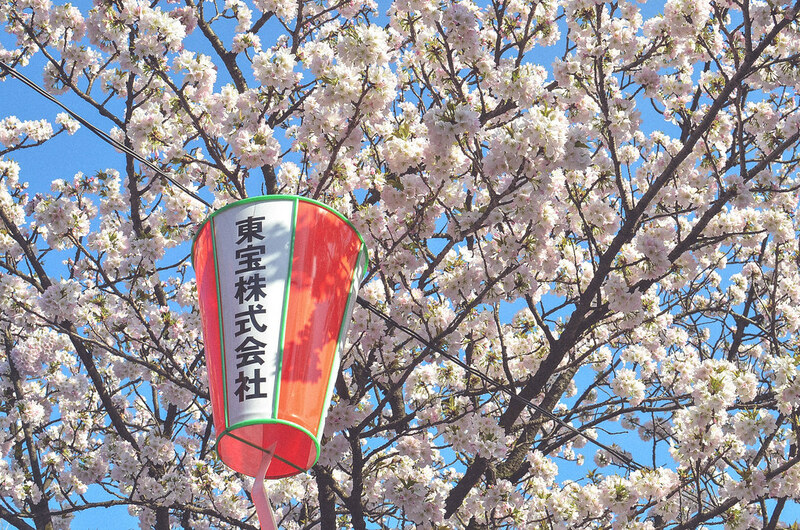 Hanami in 2016? Book it now!